Hosting, Dedicated Servers and Domain Names | root S.A. 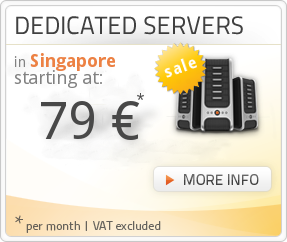 Dedicated servers have always been the serious solution for bigger web or business projects. Have a look at the hardware and services we can provide to fulfill your needs. You have your own servers and you need them to be connected to a large backbone? 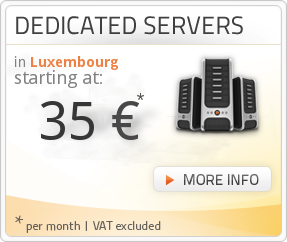 In this case you may host your servers in our datacenter in Roost (Luxembourg). It doesn't matter if you have a small static website or a large database driven portal, we have the right hosting solution for your needs. Whether you are a private person who wants to have a portfolio or a company that needs an online shop, we develop exactly the right web services for you. Do you need a special IT service but you don't have enough technical knowledge to manage it yourself? We have the knowledge and experience to set it up and manage it for you. Our presence in different important datacenters in Luxembourg and Europe allows us to offer IP Transit on all of these locations. 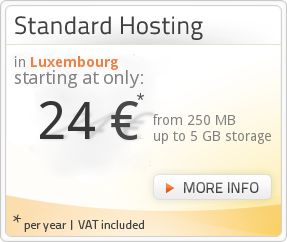 Since 2003, we have been active as hosting provider in Luxembourg (Europe). After expanding our product line in 2008, we also became very active internationally. Today, with nearly 2000 servers, more than 1800 registered domain names, over 2000 customers and a total available bandwidth of over 60 Gbit/s, we are the leading hosting company in Luxembourg.